Motorola has launched its Moto G7 and the Motorola One smartphones in India. The devices are said to be ‘premium phones with affordable pricing’. Both the smartphones differ from each other in terms of specifications. On one hand, the Moto G7 offers good camera, faster charging, improved CPU and a big display, while on the other hand the Motorola One offers comes with the stock Android experience. The Moto G7 bears a price tag of Rs 16,999 for the 4GB RAM/64GB storage variant and the Motorola One is priced at Rs 13,999 for the 4GB RAM/64GB storage variant. Both the devices will be available from today onwards and can be bought from retail Moto Hub stores, large format retail chains and top mobile stores. Interested customers can also buy them online on Flipkart. The Moto G7 and the Motorola One both comes in Clear White and Ceramic Black colour variants. Launch offers of the devices includes a cashback of Rs 2,200 from Reliance Jio, but it is only applicable on the purchase of Jio plans of Rs 198 or Rs 299. The Moto G7 sports a 6.2-inch Max Vision Full HD+ display that has a waterdrop-shaped notch on top and is protected by a layer of Corning Gorilla Glass. The device is powered by the Qualcomm Snapdragon 632 SoC coupled with 4GB of RAM. The Moto G7 runs Android 9.0 Pie and it houses a 3,000mAh battery with support for 15W TurboPower fast charging. The device also has support for a microSD card of up to 512GB. For imaging duties, Moto G7 comes with dual-rear camera setup which comprises of a 12MP primary sensor with an f/1.8 aperture paired with a 5MP secondary camera with f/2.2 aperture. On the front, there is a single 8MP selfie camera with an f/2.2 aperture. The rear camera of the Moto G7 comes with Portrait mode, Spot Colour, Cinemagraph, Auto Smile Capture and Google Lens support. 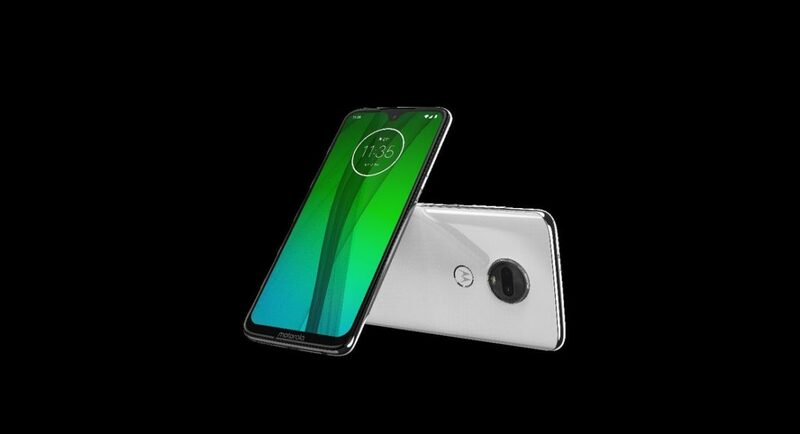 The Motorola One sports a 5.9-inch Max Vision notched display with 2.5D Gorilla Glass protection. The company has assured that the smartphone holds a curved glass body frame which is useful for one-hand usage. 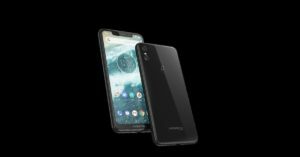 The Motorola One is powered by the a 2.0GHz octa-core Qualcomm Snapdragon 625 processor coupled with 4GB of RAM and 64GB of storage. The Motorola One supports a microSD card of up to 256GB. The device has 3,000mAh battery and it comes with 15W TurboPower fast charge support. On the camera front, the Motorola One comes with a dual-rear camera setup of a 13MP primary smart camera with an f/2.0 aperture paired with a 2MP secondary camera with an f/2.4 aperture. Or selfies and video calls, there is an 8MP selfie camera with an f/2.2 aperture. The cameras come with features such as portrait mode, cinemagraph, and time-lapse modes. They also have support for Google Lens. The device runs on Android 8.1 Oreo (Android One) which offers a stock Android experience. It should be noted that both the devices, Moto G7 and the Motorola One have a P2i water repellent coating which protects them from occasional and accidental splashes, sweat and light rain. But the device is not made to be submerged in water as they are not waterproof.